COLUMBUS, USA: The official central reservation website for the 2014 California Spring Trials is now open and attendees can begin to make reservations. The California Spring Trials will be held on April 5-10, 2014 in the central and northern regions of California. This year more than 30 companies are exhibiting at 18 locations. Attendees can arrange appointments through the website to create personalized itineraries which can be printed or viewed via a mobile site. There is no fee for attendees to use the service or attend the various events. 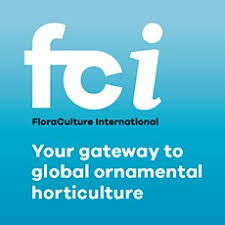 The website was developed by OFA/AmericanHort and Clarity Connect, a leading provider of technology and marketing solutions. The registration service is available now and is accessed through the official California Spring Trials website at AmericanHort.org/springtrials. The California Spring Trials is an annual weeklong event held at various locations throughout the state. The event is a launching ground for some of the newest plant varieties, signage and packaging products, and merchandising programs and concepts. In addition, many locations include PGR experiments, outdoor trialing, and technical information and help. The event includes many of the leading plant breeders, growers, and suppliers showcasing their plant varieties and new products. Formerly known as the “Pack Trials,” attendees use the occasion to get an early look at products, and to learn directly from producers the recommended growing and retail strategies. 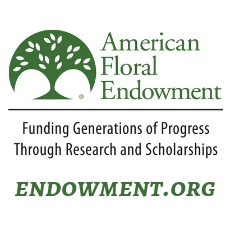 AmericanHort was formed by the consolidation of the American Nursery & Landscape Association and OFA – The Association of Horticulture Professionals. AmericanHort represents the whole of the plant industry, including breeders, greenhouse and nursery growers, garden retailers, distributors, interior and exterior landscape professionals, florists, students, educators, researchers, manufacturers, and all of those who are part of the industry supply chain. The mission of AmericanHort is to unite, promote, and advance the horticulture industry through advocacy, collaboration, connectivity, education, market development, and research. The association has its primary office in Columbus, Ohio and an office in Washington, DC to facilitate government relations and research activities.